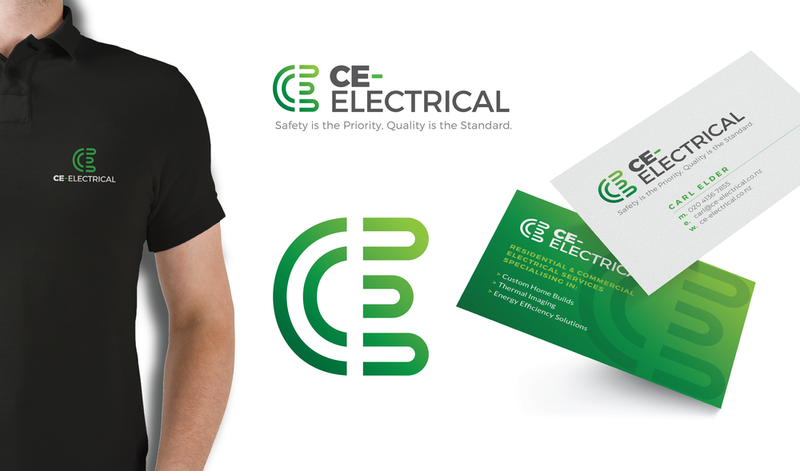 Hot off the press is this branding package for new business CE. Electrical. Kim and Carl got in touch about re-drawing an existing logo they had done. After being shown some examples of our branding packages they decided to go for it and take it to the next level. Branding goes much further than a logo. The logo is just the beginning. Branding design is your professional representation as a whole, how the market perceives you. Branding is like the public ‘face’ of your business. Don’t underestimate the value of making a good first impression. Branding packages include: Logo design, extended branding design, business card design, email signature design, several versions of the logo supplied in different formats for various uses on a wide range of applications. We can customise branding packages to suit. Clockwise also offers full print management as well, assuring you of a quality product to leave with customers and clients. Are you looking as professional as you should? Time for a brand makeover? Ask about our logo and branding packages.